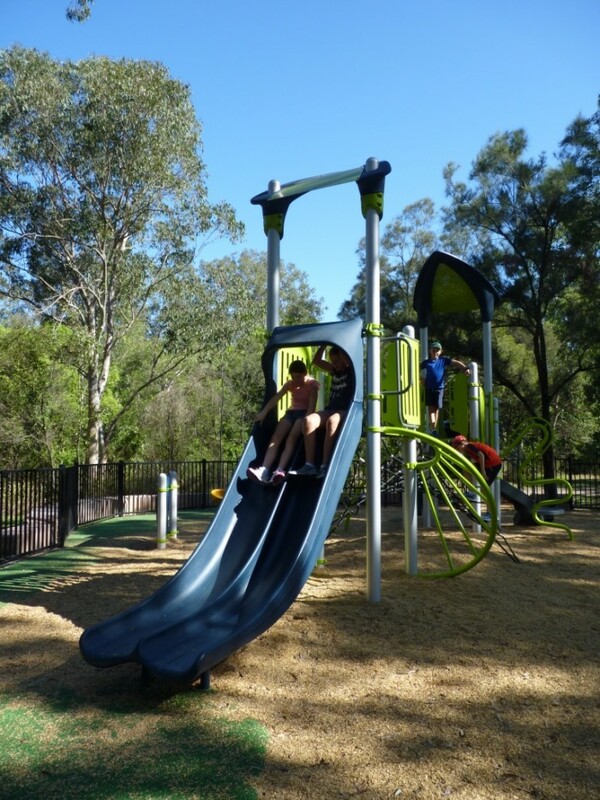 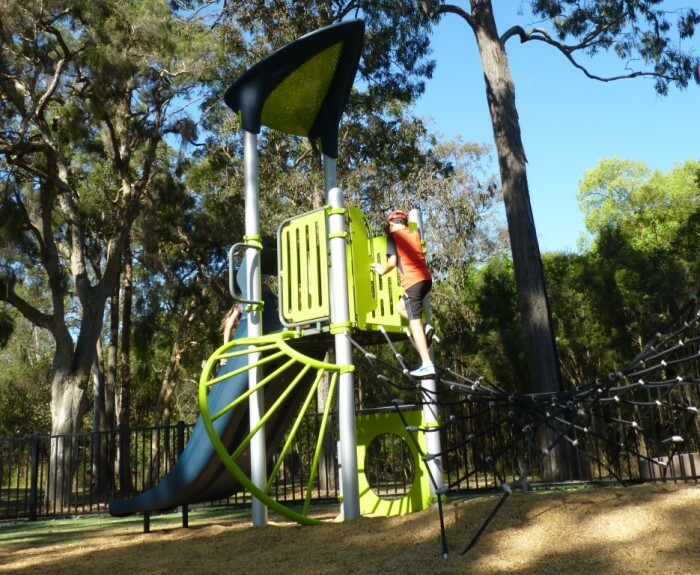 Set beautifully amongst natural shade trees, and alongside a creek, the new playground at Boorabbin Park is shade, safe and designed with a great mix of complementary play items. 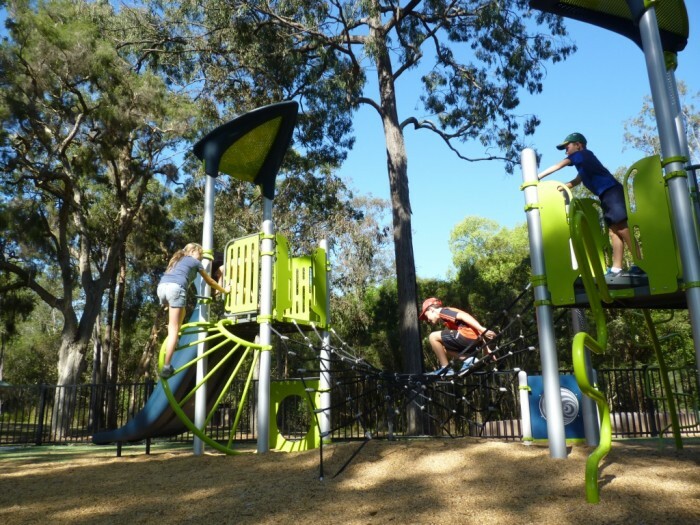 Part of a multi use recreational area, with great open space, a dog park, rebound wall, basketball hoop, the revamped playground offers the final piece in a brilliant family friendly space. 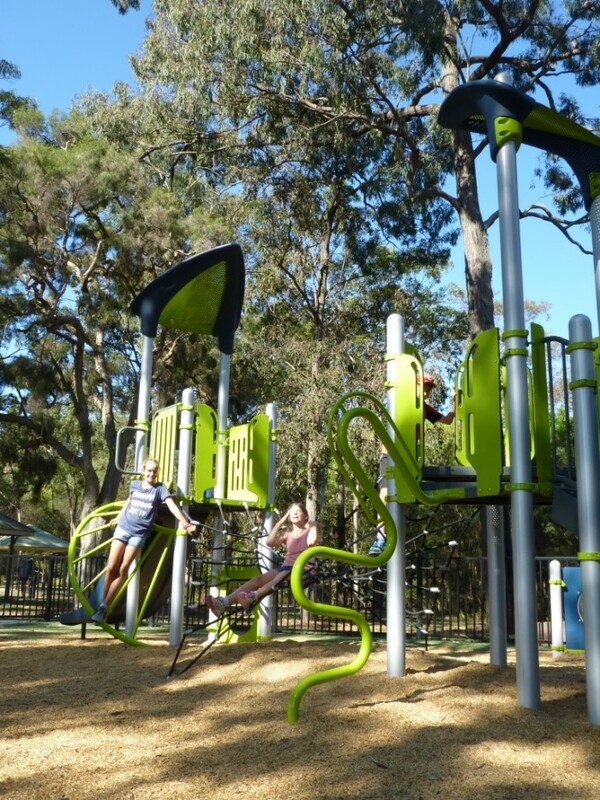 A classic multi age system was selected offering varied challenge for both junior and senior players. 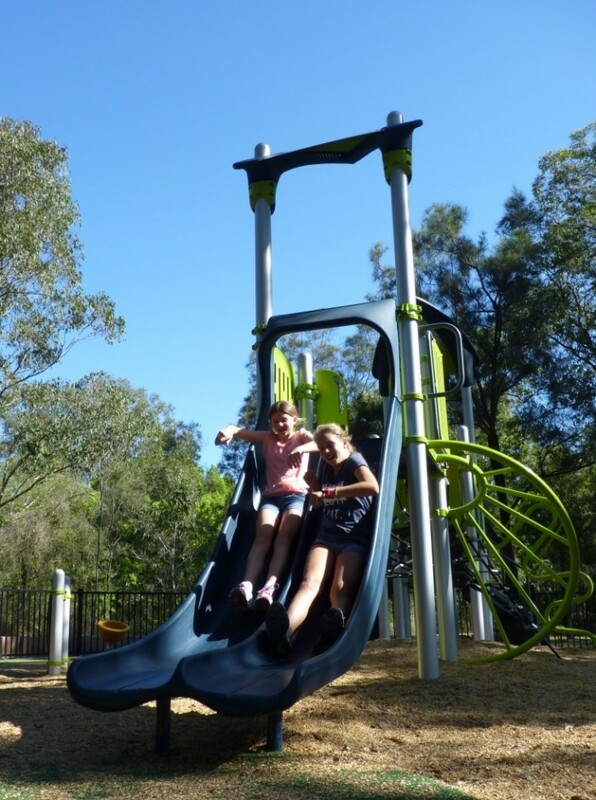 The senior end includes challenging climbers to reach the main deck including the manta ray net connecting the 2 towers, and a double swoosh slide – the steepest slide in our range providing the best racing, collaborative play and exhilarating fun! 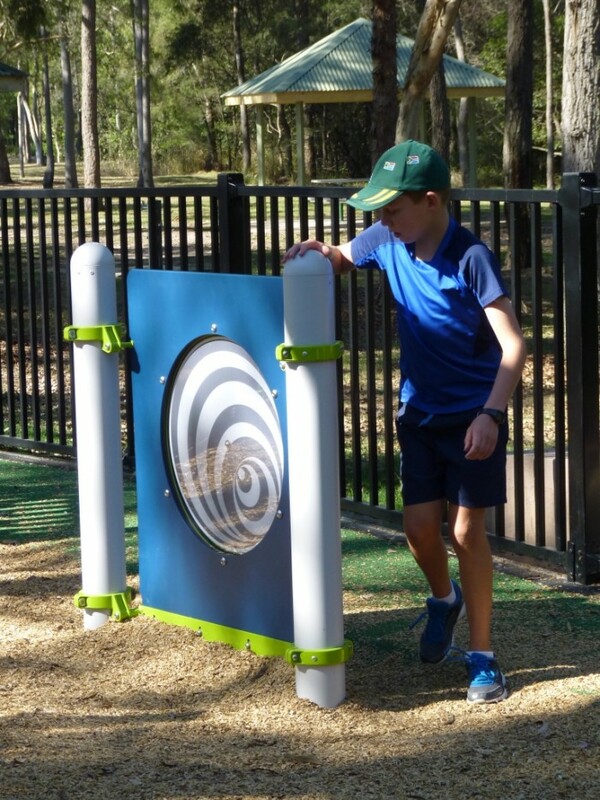 The Sensory all-inclusive Colour Splash Panel has been added for those children who would rather stay on the path, providing a splash of colour and visual stimulation for all ages. 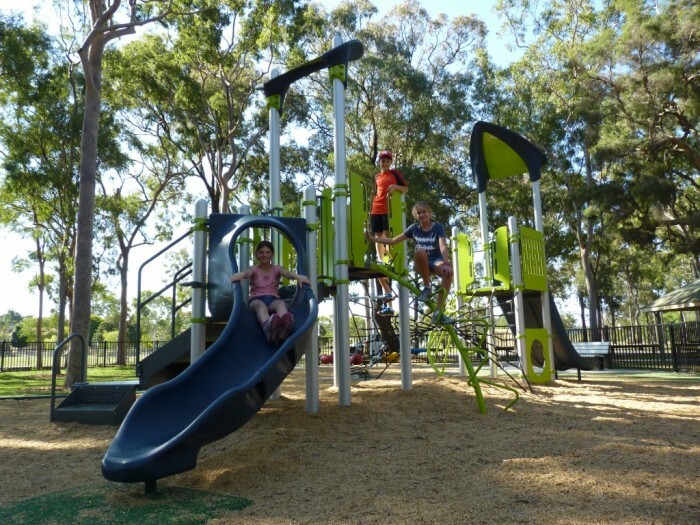 Another great example of our diverse range of equipment adding such value to the recreational space.